Geno Smith impresses, Pat Fitzgerald isn't satisfied, Johnny Manziel, and more. Welcome to the Fallout - SWRT's wrap-up of Saturday's scores and related news. Insert Desmond Howard joke here. Oh Crazy Town, Where Art Thou? Mark Dantonio vs Urban Meyer, Matt Barkley, Taysom Hill, and more. The answer: Kathryn Richt, a tan, and a ping pong table. A.J. McCarron, Todd Gurley, and more. Rejected Mississippi State alternate uniforms. Stanford falls, Taylor Kelly, Taysom Hill, and more. Montee Ball cleared, Mark Weisman, Brady Hoke, and more. When Irish eyes are forcing turnovers. Attack of the Two-Headed Wildcat. 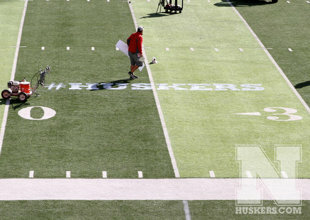 Nebraska joins the paint a hashtag-on-the-field craze. What's the most shocking thing you could ever think of coming out of Nebraska? Okay, what's the second most shocking thing you could ever think of coming out of Nebraska? Hint: it involves that internet-refining creature from the Twitterverse, the hashtag. Yes, Nebraska has gone and done joined the craze of painting a hashtag on the field by doing so on the turf of Memorial Stadium. Nebraska athletic director Tom Osbourne's retirement announcement is only a couple of days old, and this happens. Coincidence? The Husker faithful will come face to face with the #Huskers on the field this Saturday as the team welcomes Wisconsin for its first visit as a fellow Big Ten Member. There's no telling what the more tradition-minded Husker fans will take this. But if Alabama ever painted #ROLLTIDE on the field of Bryant-Denny Stadium, you'd be hearing the shouts of PAWLLLL! all the way to Mongolia. Ohio State weaning itself off MAC teams? Ohio State may have fewer MAC schools to kick around on future schedules. The coming switchover from the BCS to a playoff system is the main cuprit for the Buckeyes wanting to wean itself off of schools from the non-BCS conference. While college football fans tired of seeing the Buckeyes feast on so-called "cupcake" programs might approve of the move, Ohio St. would be sacrificing playing against the closest thing it has to in-state competition. Six of the MAC's current thirteen members (Akron, Bowling Green, Kent State and Miami (Ohio), Ohio, and Toledo) are located in Ohio. Arkansas AD backs John L. Smith, Tyler Bray, Bo Wallace, and more. I feel the pain of everyone. Then, I feel nothing. Insane Georgia secondary recruiting violation of the day. Ole Miss QB Bo Wallace is "hot and cold." For Whom the Cowbell Tolls tells Mississippi State fans to chill out over not-so-spectacular wins over the Troy and South Alabama, as the Bulldogs are still 4-0. For Whom the Cowbell Tolls polls readers on whether Mississippi St. fans should use the term "Dogs" or "Dawgs" for the team. Hint: If it's not related to a certain academic institution in Athens' Ga., it ain't a Dawg. North Carolina goes red, white, and blue for Military Appreciation Day. 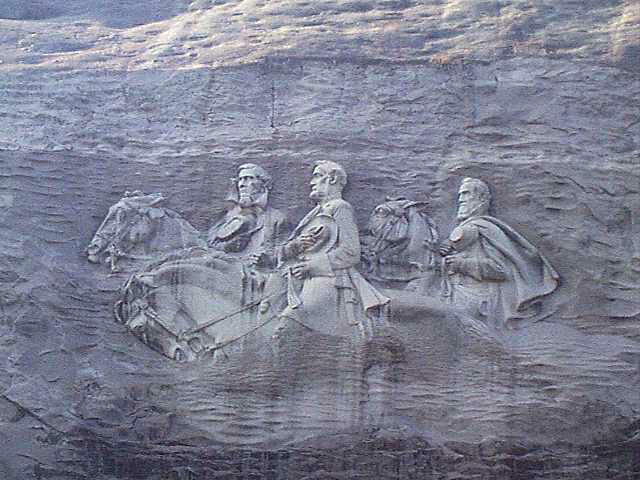 Your Ricky Stanzi memorial America, love it or leave it moment of the day. North Carolina will be celebrating "Military Appreciation Day" during Saturday's home game against Idaho. Of course what better way than to transform the classic UNC icon on the 50-yd line into a star-spangled tribute to those who serve to keep America free" The Tar Heels' helmets will feature a similar decal. Texas A&M's "Aggie Style" take on "Gangnam Style." What's the worst thing that could happen if you put "Gangnam Style" in the hangs of one of the newest, yet already most annoying, schools in the SEC? A Texas A&M "Aggie Style" video, of course. Midnight Yell practice? Check. Male cheerleaders Yell Leaders? Check. Texas A&M president R. Bowen Loftin embarrassing the crap out of himself and all of upper academia? Check. Dangit, Aggies. Quit making us already regret the SEC agreeing to let you in. A Wisconsin "Gangham Style" parody? Of course there is. Wisconsin is in panic mode right now. It lost to Oregon State. Overhyped quarterback Danny O'Brien has been benched in favor of Joel Stave. Tailback Montee Ball is dealing with a concussion. What's the best thing that Wisconsin students can do at a time like this? Make a pathetic "Gangnam Style" parody video, of course. This is obvious proof Wisconsin's less-than-spectacular September has really begun to wear on the student population, resulting in a reaction that's somewhere in between denial and a total disassociation with reality. Riley Nelson, Chris Young, Stanford vs.Washington, and more. Thursday Night's Alright for Fighting. Conquest Chronicles ponders whether or not USC, Trojan head football coach Lane Kiffin, and starting quarterback Matt Barkley are able to handle the pressure to succeed put upon them by the media. Mr. Nelson, will you please sit down? Tavarres King calls Aaron Murray "a nerd." Aaron Murray: Does this look like a nerd to you? What does Georgia wide receiver Tavarres King think of Bulldog quarterback, Aaron Murray? He thinks Murray's "a nerd." It's hard to think of Murray being a nerd with all of those dorky pictures of him on the internet. But, Dawg wideout Michael Bennett gets into a little more detail about Murray's supposed "nerdy" habits. Nerdy or not, those tend to be the habits of very successful quarterbacks. Murray's habits sound very much like those of Peyton Manning or Tom Brady. Both of which are Super Bowl champions. Don't be too surprised if you see Murray holding up the Lombardi Trophy someday. Tyler Bray's body language, Connor Shaw is a throwback, Aaron Murray is a nerd, and more. Least. Shocking. News. Of. The. Week. Georgia quarterback Aaron Murray is a nerd. South Carolina QB Connor Shaw is declared to be "the ultimate throwback." For Whom the Cowbell Tolls reviews the ESPNU SEC Storied documentary Croom, on former Mississippi State HC Sylvester Croom. A shirt celebrating Kansas State beating Oklahoma? Of course there is. There three things inevitable in life - death, taxes, and t-shirts celebrating college football team's victories over other college football teams. And the above t-shirt celebrating last Saturday's Kansas State win over Oklahoma is of no exception. 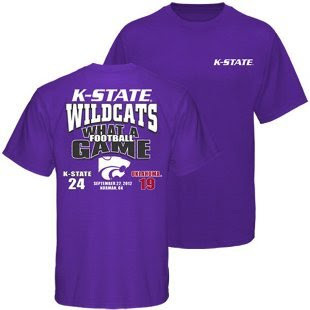 Wildcat fans can put this shirt on and party like it cost $19.99, which is exactly the Kansas State's official store website is selling them for. And while I'm on the subject, here's a memo to Frank Schwab: Stop acting so smug and claiming there are "certain rules" about printing shirts that K-State broke in doing so. "Now, there has to be certain rules to this. A team that has never been to a bowl game beats a (then) top 10 team? Print those T-shirts. A FCS team beating one of the most historic programs in the sport? Go nuts. Bowl games, championships -- all fair game. But not a win like this, Kansas State. This was, for the record, the 18th time K-State has beaten Oklahoma (the Wildcats have lost 71 times to OU, but still). Have a little fun, celebrate the win, maybe even send some taunting texts to that OU fan in your life. But please K-State fans, don't get the shirt. You'll thank us later." Bull. I've seen enough of these shirts in my lifetime to know that any game is fair game for a game victory t-shirt. Especially if it's a college rival with a little bit of the "entitlement" syndrome. It's called capitalism, Frank. Deal with it. 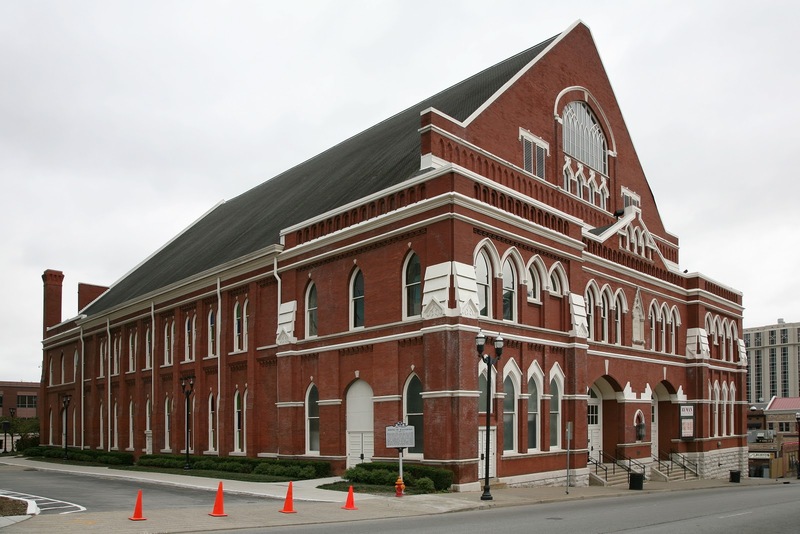 David Ash surprises, Bob Stoops on the ropes, Steele Jantz seeks redemption, and...Trace Atkins? Frogs vs. Tigers in 2013. Turnovers are for breakfast, not football. Your "America, love it or leave it" moment of the day. 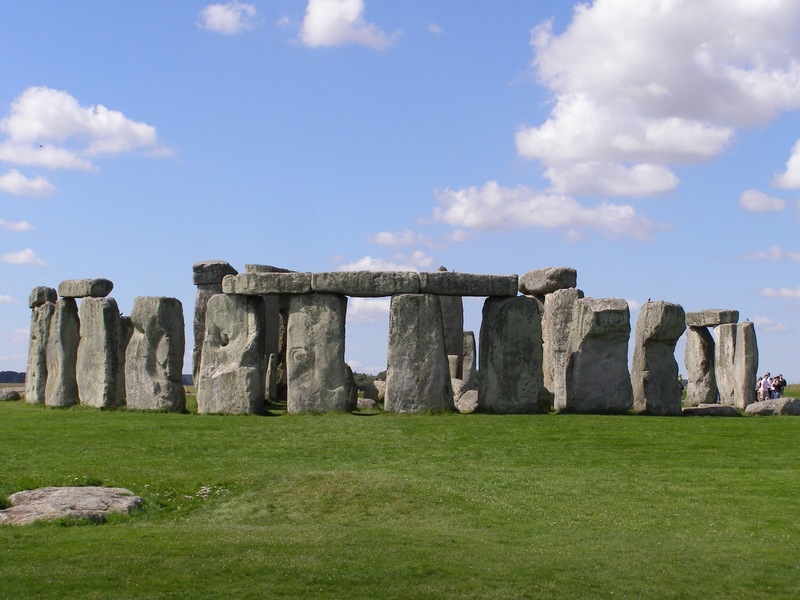 Montee Ball's hopes, Gordon Gee's spending habits, Venric Mark, and more. Ta'Jarvis Fuller is an ex-Fighiting Illini. Say Bat-fans, are you unsure about the direction of the Batman film franchise now that Christopher Nolan is done with his Dark Knight trilogy? Are you wondering who the abomination that causes desolation that is the Time-Warner media empire can get to replace Christian Bale as the caped crusader? Worry no more, because the internet has given you an answer to your prayers, along with a bold new direction for the series. Ladies and Gentlemen, your new Batman - Urban Meyer. I am of course anxiously awaiting the sequel, with Lane Kiffin as the Joker, Gigi Meyer as Batgirl, and Les Miles as (who else?) The Mad Hatter. Todd Gurley, Derek Dooley, Joker Phillips, and more. This used to be a funhouse, but now it's run by evil clowns. Joker Phillips on an even hotter seat? Arizona to debut copper alternate helmets during game against Oregon St. 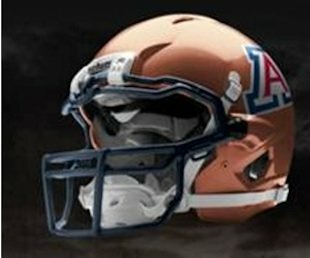 If you were anxiously waiting for Arizona to debut the Wildcats' much talked-about copper helmets then wait no further. Wildcat head football coach Rich Rodriguez has announced that the helmets will make their game debut this Saturday for the Wildcats' first Pac-12 home game against Oregon State. "It is our first Pac-12 home game this year, so we're going to break out the copper helmets," Rodriguez said, referring to Saturday's game against Oregon State (7 p.m., Arizona Stadium). "Copper is not going to replace our school colors or anything, but I think it is a tribute to the mining industry in our state." While most of RichRod's players were enamored with the shiny new helmets, center Kyle Quinn was a little more reserved about the new headgear, noting that "With linemen, they get torn up anyway." Though he does admit that he likes the reasons for why the helmets were created. "Being a history major, I know the importance of what copper is to the state and how important the mining industry is," Quinn said. "So it's going to be great to represent that and go out and play a great game on Saturday." It's nice to know that at least one player gets that the helmets are supposed to be more than just your average alternate protective headgear. 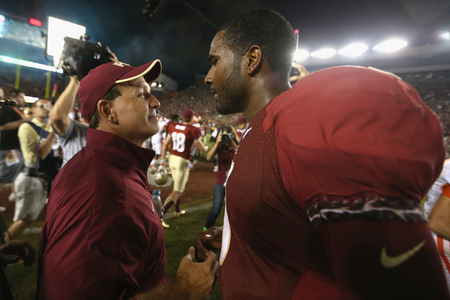 Jimbo Fisher calls Heisman hopefuls "show dogs." Jimbo Fisher with E.J. Manuel. FSU head football coach Jimbo Fisher has a possible Heisman Trophy candidate on his hands with Seminole starting quarterback E.J. Manuel. That don't expect you can Fisher to orchestrate a massive Heisman campaign like the one centered around former FSU QB Christian Ponder. It seems that he has either moved on from such bawdy schemes, or wasn't too crazy about them in the first place. ''Like I say, that's for show dogs,'' Fisher said in response to a question at his weekly media availability. ''If you want to parade him around and do all that, I'd rather have a hunting dog. Hopefully Manuel is mature enough to be called a 'hunting dog.' Otherwise there are gonna be some very awkward moments down in Tallahassee. 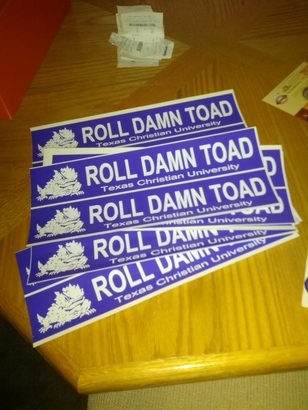 TCU has a familiar-sounding new bumper sticker slogan - Roll Damn Toad.. The above photo is of some new TCU bumper stickers. I may be wrong, but I could swear I've heard the"Roll Damn Toad," or something pretty darn close too it, being used somewhere else. Some school in Tuscalooda, Al., maybe? TCU might want to consider putting guards on the trees around campus. And if you're a TCU supporter, you might want to avoid going to Krystal for a while. Landey Jones, Geno Smith and Casey Pachall, Wes Lunt, and more. We're in the same boat on the same sea, and we're sailing south on the same breeze. Colin "Optimus" Klein transforms Kansas St. into contenders. 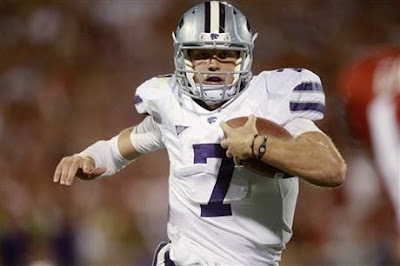 NFL scouts were at Saturday's Kansas State-Oklahoma game to check out Sooner quarterback Landry Jones. But it was starting quarterback Collin Klein who stole the show, by helping the Wildcats shake the world of college football by defeating the fifth ranked Sooners 24-19. Klein has helped make the world take notice of K-State this as Big 12, and possibly even BCS title contenders. While the world may be shocked with Klein's performance, and his improvement from last season, his fellow teammates have taken notice, and have dropped a few nicknames on him. "People need to quit being surprised by Collin," said K-State wide receiver Chris Harper. "Collin is Collin. He's got these nicknames and they're all true: 'Honey Badger ... Optimus Klein,' whatever you want to call him, it's all true because he's all of that. He can do whatever he wants to do. If he wants to play for K-State basketball and go out there and start, he could do that. "People who doubt him, just accept what he is, and that's a great athlete." Someone needs to tell Harper that "Honey Badger has already been taken by some guy named Tyrann Mathieu, and his absence from college football this season doesn't mean that it's available. "Optimus Klein," however is permissible, and appropriate for the on-the-field leader of the Kansas St. offense. There's no word on the NFL scouts in attendance thoughts on Klein, but the Detroit Lions may want to take a look at "Optimus," should they decide their QB Matthew Stafford needs a good backup next season. They already have Calvin "Megatron" Johnson, after all. Denard Robinson, Wisconsin's James White, Michigan St., and more. Off Tackle Empire's weekly Big Ten Bowl predictions have Michigan State. facing USC in the Rose Bowl, and Notre Dame talking on LSU in the Sugar Bowl. It also sees Iowa and Indiana staying home with the banhammered Ohio State and Penn State. In search of Sparty's mojo. US Navy SEALs help Northwestern put success in perspective. The Big Ten has taken it on the chin in more ways than one this season. But Northwestern has managed to go 4-0 with a schedule which includes three wins over BCS conference teams Syracuse, Vanderbilt, and Boston College. Don't expect the Wildcats to be bragging about their accomplishment. The team learned how to put success into perspective during training camp from a training session with members of the US Navy SEALs. "Every operation the SEALs go into, they expect to be victorious," quarterback Kain Colter said. "When they complete a mission successfully, they won't be jumping for joy. We expected to win these first four games and as we go into Big Ten, we expect to win games, expect to win the conference." That kind of perspective will probably be helpful for Northwestern as it dives into Big Ten conference play against Indiana this coming Saturday. The Wildcats can't expect teams like Michigan and Michigan St. to be down for long. Alabama stays on top, LSU drops a notch. Georgia quarterback Aaron Murray is hot. It's a trick - there's two of them! Saturday Down South profiles Georgia tailbacks Todd Gurley and Keith Marshall, who have picked up the slack resulting from the dismissal of former Bulldog TB Isaiah Crowell. Thank you Fleetwood Mac, for helping Arkansas to love again. Arkansas Expats recalls the optimistic Fleetwood Mac hit "Don't Stop" at it tries to deal with the abomination that is the Razorbacks' 2012 season. Taking it in for a tune-up. 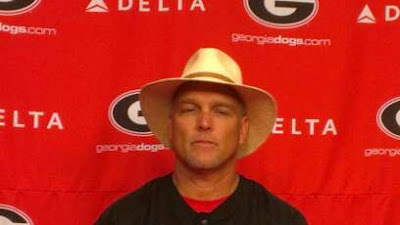 Mark Richt dances a little sidestep over Ogletree and Rambo suspensions. Mark Richt - Now you see him, now you don't. He comes and goes. Georgia linebacker Alec Ogletree and safety Bacarri Rambo have been suspended since the beginning of the Bulldog's 2012 season for separate off-the-field incidences. Since then, UGA head football coach Mark Richt has been playing it fast and loose as to when the duo would be reinstated. With the aplomb of the Governor of Texas in The Best Little Whorehouse in Texas, Richt continued to dance his little sidestep around the issue on Sunday. "Richt has never clarified how long the suspensions will last. On Sunday he continued his weekly ritual of not updating the status of the two defensive stars. "We'll figure it out in pregame warmup I guess, just like last week," Richt said." Alabama blows FAU's mind (69 Times). Alabama managed to show the world on Saturday that Florida Atlantic defensive end Cory Henry was incorrect when he claimed that the Crimson Tide was beatable, and that the Owls could beat them. Alabama showed Henry the error of his ways with a 40-7 FAU whalloping on Saturday. That it took sixty-nine players to do so is merely a trivial matter, as 'Bama head football coach Nick Saban rested his starters to give their backups some playing time and some in-game experience. He thought the backups played better than they did a week ago, even though FAU scored a late touchdown and Arkansas never scored." That FAU actually scored against the reigning BCS champions is probably proof that the team isn't that bad of a cupcake program, but still isn't quite up to the respectable opponent level of South Florida or Central Florida. But like the Tide's backups, The Owls gained valuable experience in being Alabama's last non-conference opponent before it jumps into SEC competition. Oklahoma's upset, Wisconsin's freshmen, and more. Welcome to the Fallout - SWRT's Sunday wrap-up of Saturday's action. Oklahoma is "not a championship-contending team." Tide Blows FAU's Mind (69 Times). I don't want to spoil the party, but I just did. Nick Florence, Terry Bowden, and more. Joel Stave, Bo Pelini, Anthony Hitchens, and more. Stave the Last Dance for Me. All men are mortal. All college football coaches are men. Therefore, all college football coaches are mortal. Ohio State can go undefeated in 2012. A Lion Eye looks at Illinois' difficulties at maintaining good attendance figures in the wake of last Saturday's home win over Charleston Southern. The Illini have reportedly only drawn 40,000 fans its two home games this season. Ohio St QB Braxton Miller has "more talent" than Tim Tebow. Because Urban Meyer said so. How does Ohio State quarterback Braxton Miller compare to Buckeye head football coach Urban Meyer's most famous acolyte, Tim Tebow? Pretty well, according to Meyer. "Very similar guys," Meyer said. "They're both competitive human beings. They're both very talented people. Braxton has more talent. Tim is probably more of a grinder." Meyer could be doing his expected role as Buckeye HC to pimp for his starting QB. Then again, Meyer could be finally admitting what most of the free world already knew about His Tebowness, in that his on-the-field qualities are more in his will to win than in anything remotely resembling a traditional NFL-style QB. Covering Dixie Like Mildew: Tyler Wilson, Jarvis Jones, and more. Finally, some good news for Arkansas. Where did it all go wrong for Arkansas? Kentucky HC Joker Philips on the Hot Seat? Despite making zero interceptions this season, Alabama defensive back Robert Lester is "a lot better player now than he was two years ago." Because Alabama HC Nick Saban said so. 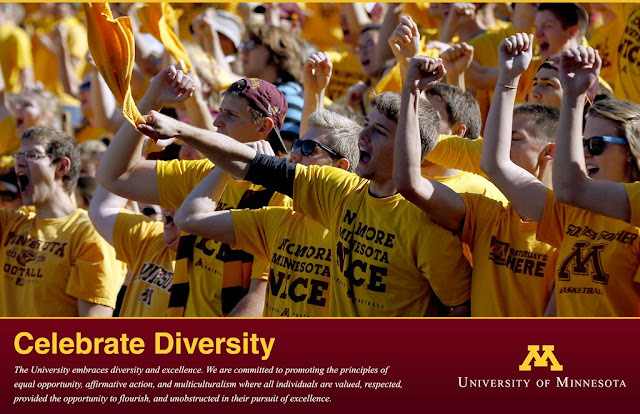 University of Minnesota celebrates multiculturalism...kind of. Uh, you're doing it wrong. Denard Robinson, Kain Colter vs. Trevor Sieman, recruiting, and more. Denard Robinson is "the best player on the field." Michigan State "will finish in the top ten." Iowa running back curse item of the day. Connor Shaw to start, John L. Smith in the red, Tyler Bray, and more. - The SWRT roundup of SEC news. Your Hawgageddon moment of the day. A.J. McCarron comes clean about his bow tie fetish. Alabama QB A.J. McCarron before the Alabama-Michigan game. There were two big questions that the media wanted to know when Alabama starting quarterback A.J. McCarron popped into the Alabama media room after practice on Tuesday afternoon. One was about his right throwing hand, which got stepped on while recovering a fumble during the Tide's victory over Arkansas. "It's good," and "Ready to go," McCarron said. The other was about his disturbing new off-the-field fascination with bow ties. 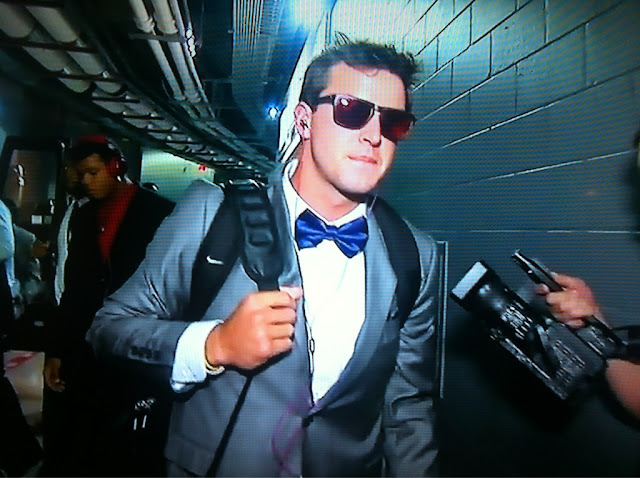 McCarron has been spotting wearing the bow ties publicly several times since the season began. He was wearing one when he arrived at Cowboys Stadium before Alabama's dismantling of Michigan. He was more recently spotted wearing one before the Western Kentucky game. McCarron went into a little depth about the new bow tie fetish. "I'm actually getting more and more," McCarron said. "It's actually gotten pretty cool. It's just something. I like doing different things. Everybody wears a tie, so I wanted to try something different. "Actually, my mom and everybody in my family, that's what they got me for my birthday. I really didn't get to choose what I got. They all got me that. 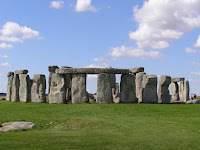 It's definitely been pretty cool, though." "I just got a bunch of new ones," McCarron said. "I got a breast cancer bow tie and then a leukemia colored bow tie. I got a bunch of cool ones that we'll see." As for how McCarron looks with the bow ties, it's a toss-up. It's somewhere between a pimp, Pee Wee Herman, and Chet from the Brooklyn season of MTV's The Real World. In other words, it's a look that can go horribly wrong when not worn appropriately and in the right situation. FAU player claims Alabama can be beat. Josh Nunes, Alabama, upsets, and more. OMG! Cobra Commander is a Gator! Arizona, Trevor Riley, USC-Stanford, and more. Baylor-inspired "Bears in Black" is uninspiring. Why Notre Dame picked the ACC over the Big Ten. The Tyler Bray back tat shirt exists. Arkansas calls on fans to get the red out. Phil Fulmer gives the thumbs up to Derek Dooley . Is Nick Saban the Devil? Lee Corso makes Texas A&M mascot nervous. Ricky Williams polishes his statue at Texas. Texas A&M Aggies are farmers...NOT!